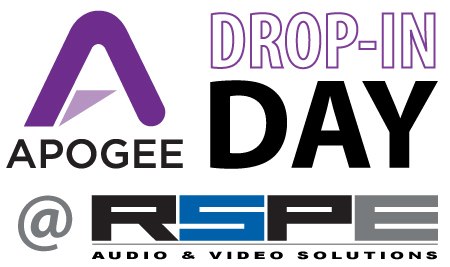 Apogee Drop-In Day at RSPE! 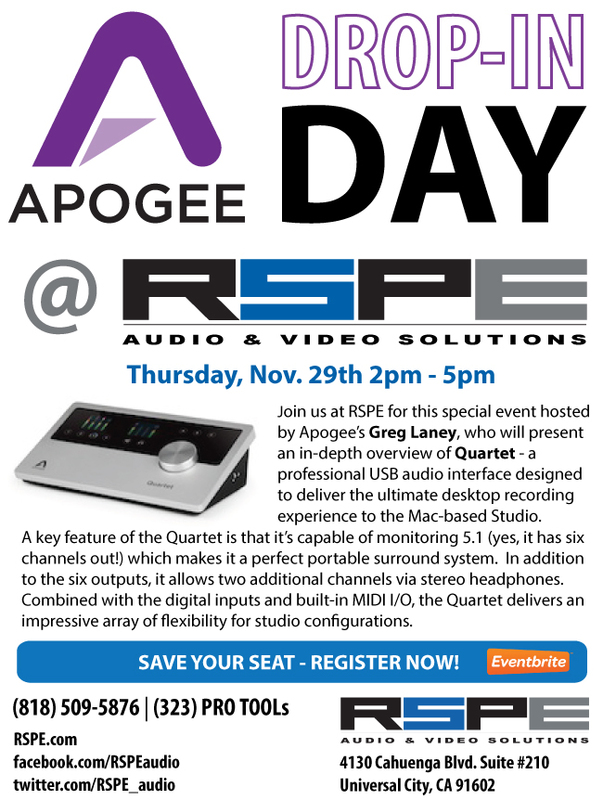 Please join us at RSPE for this special event hosted by Apogee's Greg Laney, who will present an in-depth overview of Quartet - a professional USB audio interface designed to deliver the ultimate desktop recording experience to the Mac-based studio. A key feature of the Quartet is that it's capable of monitoring 5.1 (yes, it has six channels out!) and makes a perfect portable surround system. In addition to the six outputs, it allows two additional channels via stereo headphones. Combined with the digital inputs and built in MIDI I/O, the Quartet delivers an impressive array of flexibility for studio configurations. PLUS: Our demonstration will utilize Pro Tools AND Logic!